Every day at 12 AM your local time you receive a chance to spin the Mega Bonus Wheel to get various rewards! 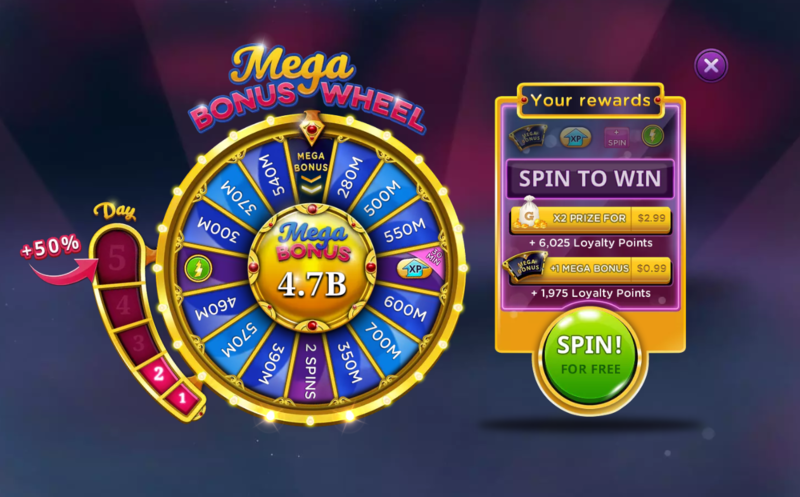 If you have one or more Free Spins, you’ll be automatically shown the Mega Bonus Wheel section upon entering the game. You can also access it by going into the Payment Page and pressing the Spin button there. Every day your rewards on the Wheel will gradually grow until reaching the additional 50% bonus. You can also purchase additional spins for a small fee both in the Wheel section itself and in the Boosters section of the Payment Page.